All our partner sites are independently reviewed by our team of industry experts. We examine 10 different criteria and award a score out of 10 for each, adding up to a final mark out of 100. You can read a full description of our 21Casino review process here. 21 Casino received a score of 92/100. 21Casino is a classy little number straight out of the Imperium Networks Solutions stable. This is the same team that bring us Grand Ivy, Miami Dice and Spin Station. 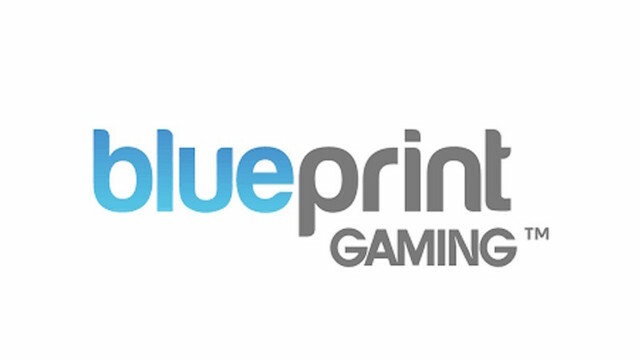 They are licensed out of Cuarcao and the UK and have a reputation for going big on bonuses and game catalogues, taking in a selection of titles from all the big hitters. 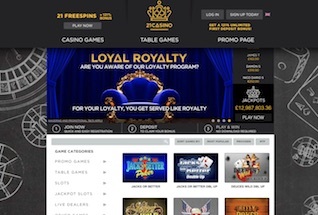 In the case of 21Casino, the looks is class – with a crown on the logo representing a royal theme – and Imperium have once again gone big on slot titles. There is a cracking game set including the NetEnt, Microgaming and NextGen titles. There is also a fair selection of jackpot slots, table games and a decent enough live casino. Like all good casinos, 21 also make it easy to deposit by offering a wide range of payment options, and customer services is open 24/7. They also offer a pretty nifty sign up offer, including no deposit Starburst free spins – more on that in a minute. All in, 21Casino are a worthy addition to the Imperium Networks group. 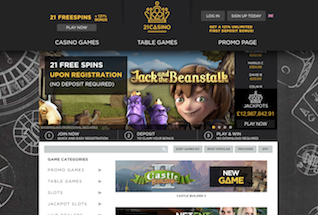 You can join now to claim your 21 free spins, or read on for our full review. New customers at 21Casino are appropriately treated to a nice 21 Free Spins (no deposit needed) on Starbust Slot from NetEnt. Those free spins will drop into your account immediately on registration. Any winnings generated from your free spins will be credited as bonus money and will come with a 35x wagering requirement and are capped at £50. Nevertheless, a nice opportunity to have a free go on one of the world’s most popular slots games. Following your free spins, should you decide to make a deposit you’ll then quality for an UNLIMITED 121% deposit bonus. So, deposit £10 and get £12 extra, deposit £100 and get £121 extra. The minimum deposit required to quality for this bonus is £10, and the bonus comes with a 35x wagering requirement before any winnings can be withdrawn. The maximum bet allowed whilst the bonus is in play is just £5. Along with your first deposit bonus you will also receive 10 free spins to be played on any NetEnt game you choose! Again, winnings are capped, paid as bonus, and come with a 35x wagering requirement. What Games Can I Play at 21Casino? The big draw here at 21Casino are the slots. In recent months the team have been signing up new providers to add more to the selection, so now you will find the standard fare from NetEnt – Starburst, Twin Spin, Gonzo’s Quest and Spinata Grande – are joined by a huge selection from other top providers. 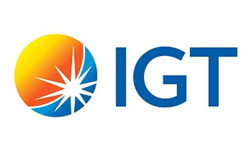 Check out Microgaming’s classics mixed in with their latest new releases – Immortal Romance, Jurassic World, Avalon II and Pollen Party; plus brilliant games from new studios like Thunderkick – Turning Totems, Spectra and Esquelito Explosivo; and hilarious new slots from Blueprint, like Ted and The Naked Gun. There is no shortage of fun to be had. And if you’re a fan of big progressives, then 21Casino could suit you well. Mega Moolah, Mega Fortune, Top Cat and Genie Jackpots will tempt you in for sure. For table game players there is a nice list of Roulettes – 13 in all – 18 blackjacks, 10 pokers (including Hold Em and Stud), and 12 High Roller tables for high stakes blackjack and the rest. If you prefer some live casino action then jump onto any of 13 different tables, including VIP roulette and automatic roulette. Also, Hold Em, Common Draw Blackjack and Three Card Poker. We’ve already seen that 21Casino are not shy with the free spins and bonuses for new customers. But what about their loyal base? Well, at time of writing, the team were splashing out double loyalty points for playing the Ted Slot game (new from Blueprint in 2017). They also seem to know something about their customers – EVERY Monday and Tuesday 21Casino dish out a Hangover Bonus – 21% up to £210 on the first deposit of the day. How’s that for easing you back into another tough week! Usual wagering requirements apply of course. The regular weekend Stairway Bonus gives 10% extra on first deposits of the day up to £50, 20% on deposits up to £100, and 30% on deposits up to £500. Finally, the smart looking Loyal Royalty program will ensure that every £1 you wager at 21Casino will earn you points which can be exchanged for bonuses. The modern casino needs to offer a wide choice of cashier options to customers as there are now so many payment systems out there, and everyone has different needs. 21Casino has many options – from credit and debit cards, through Trustly, Giropay and Sofort, to Neteller, Skrill and Wire Transfer. There is a 48 hour pending time on all withdrawals before they are processed – which is fairly standard – after which credit and debit card withdrawals may take up to 5 days to appear, and eWallet withdrawals up to 24 hours. Imperium Network Solutions are experienced in delivering top quality casino entertainment, so it is no wonder that their website looks great. It’s easy to find your way around, and all the games catagories, your account, customers services and promotional information are just a click away from the home page. If you’re a mobile player – and recent stats suggest around 80% of casino players are – then you’ll be pleased to see that 21Casino looks great on mobile too. All the same games and functionality from the desktop site are also available on mobile and tablet. The 21Casino team are available 24/7 to answer any queries you may have. There is an email address to contact, and also live chat. Although at time of writing, no phone number is present on the site. Like all Imperium Network Solutions sites, 21Casino is licensed out of Cuaracao and the UK. This means that it adheres to important standards around fairplay and security to ensure you can feel safe entrusting your money and your game time to this site.